M/Y TRIBU is an explorer style 50m motor yacht built in 2007 by Mondomarine of Italy. 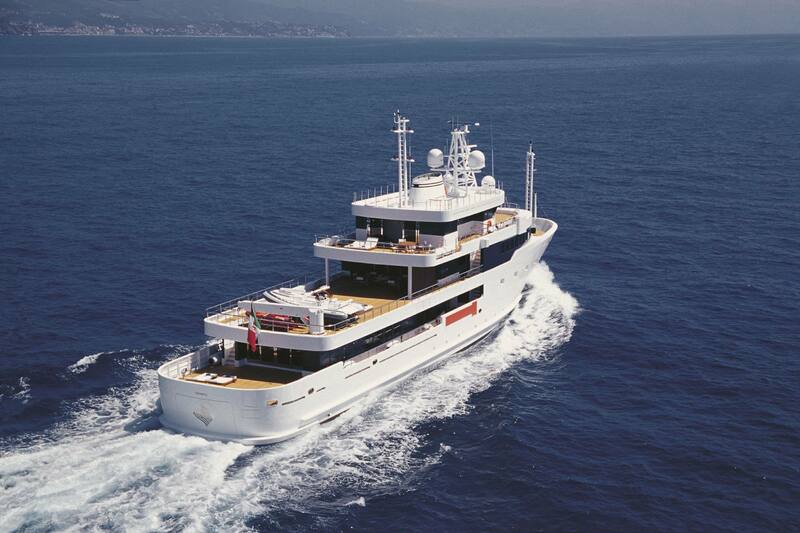 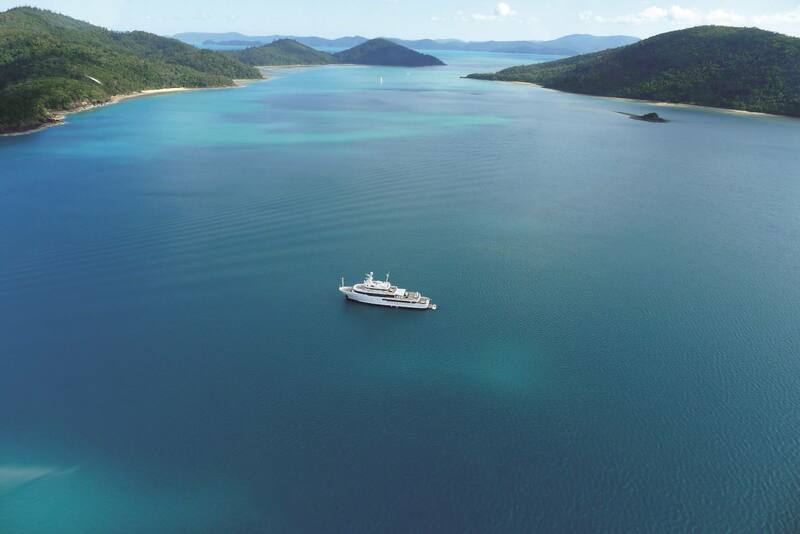 As a true expedition yacht she is able to cruise the world’s oceans in safety. 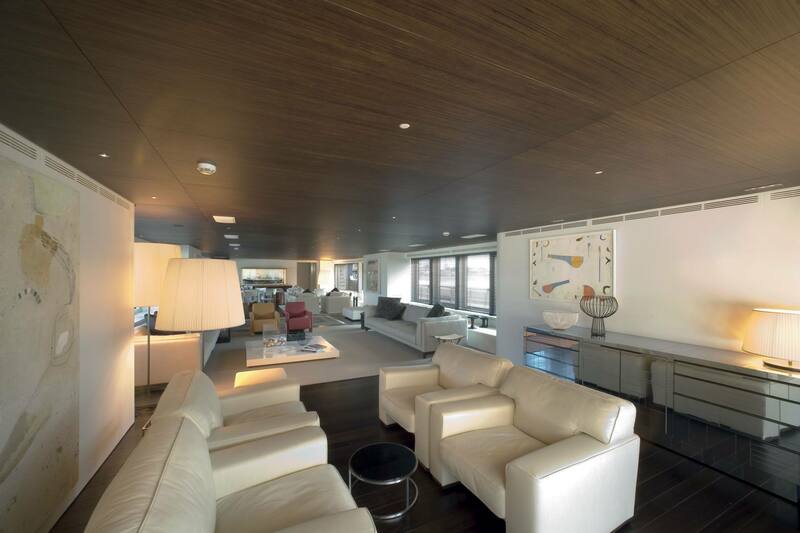 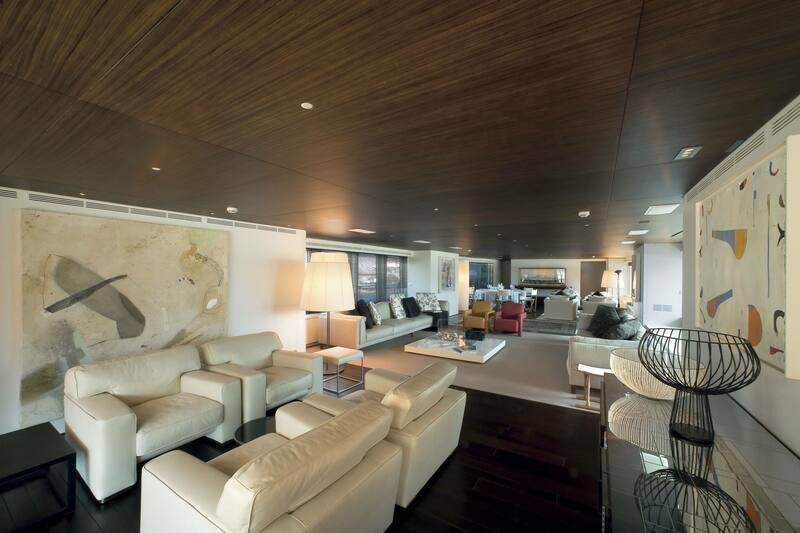 TRIBU offers a contemporary minimalist interior styling designed for simplicity, comfort and functionality. 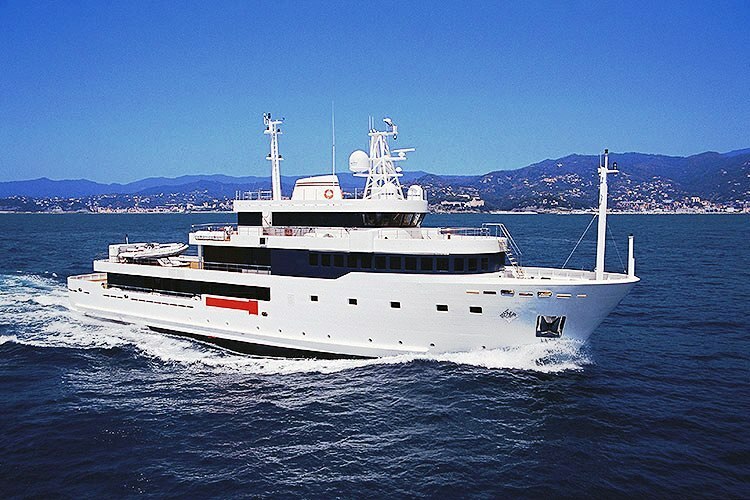 She has good deck space and is expected to offer a vast arrangement of toys. 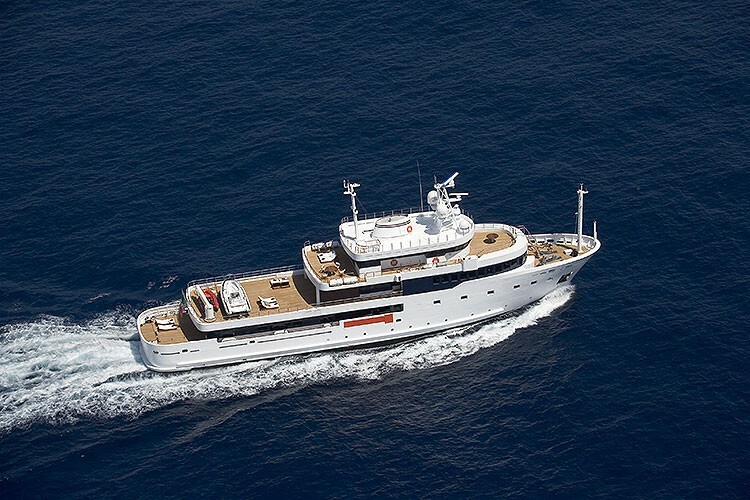 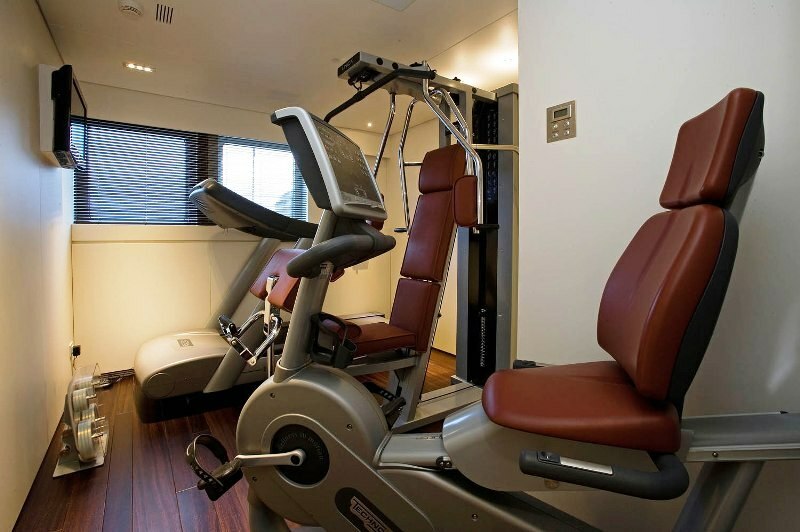 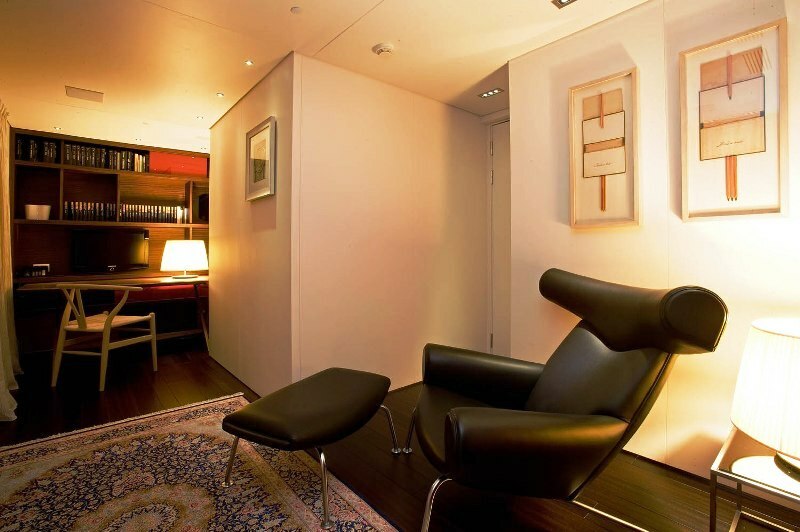 The yacht has all the systems onboard requisite for extended stays in remote areas. 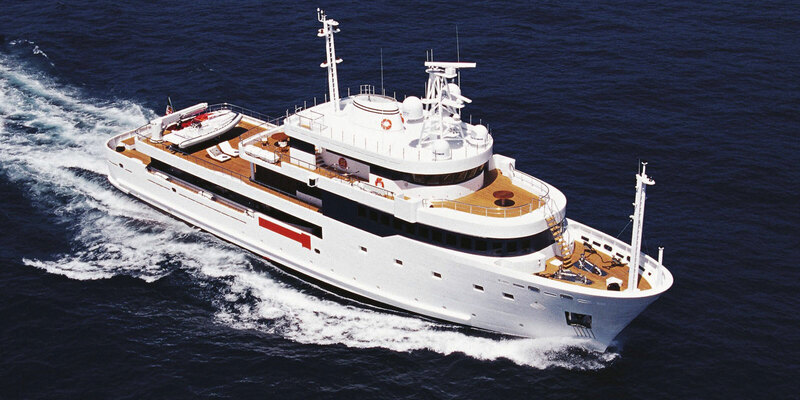 She accommodates up to 10 guests in five cabins. 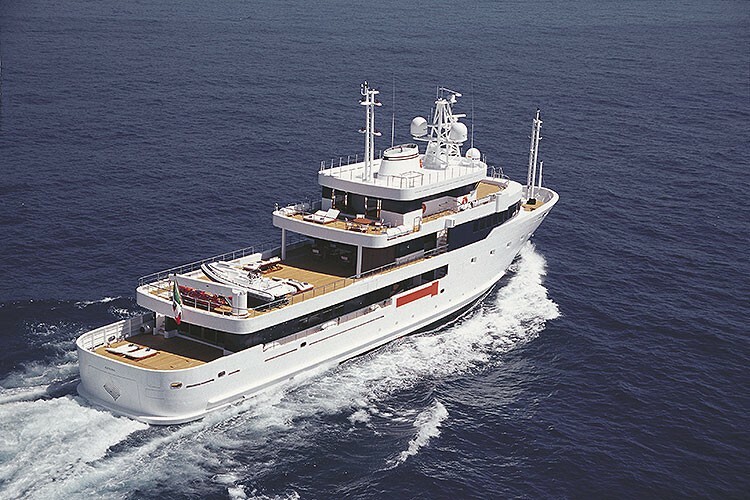 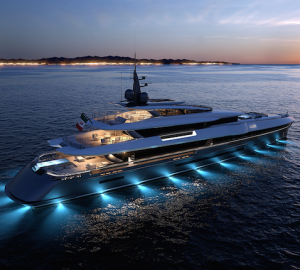 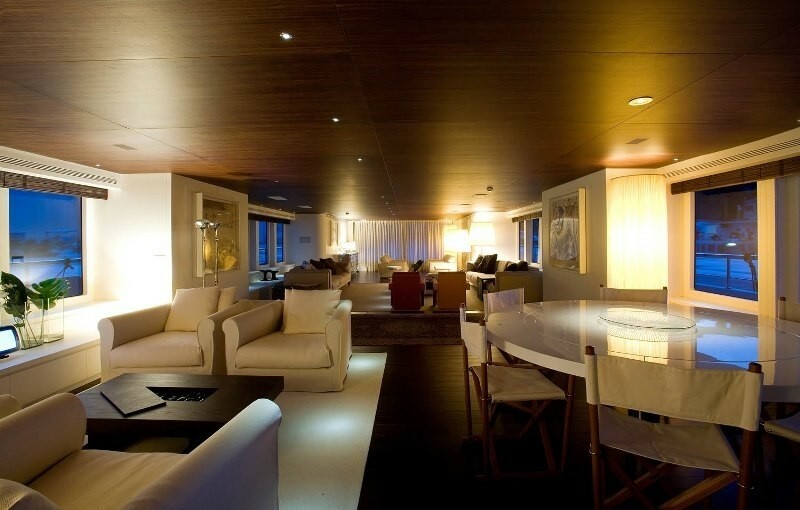 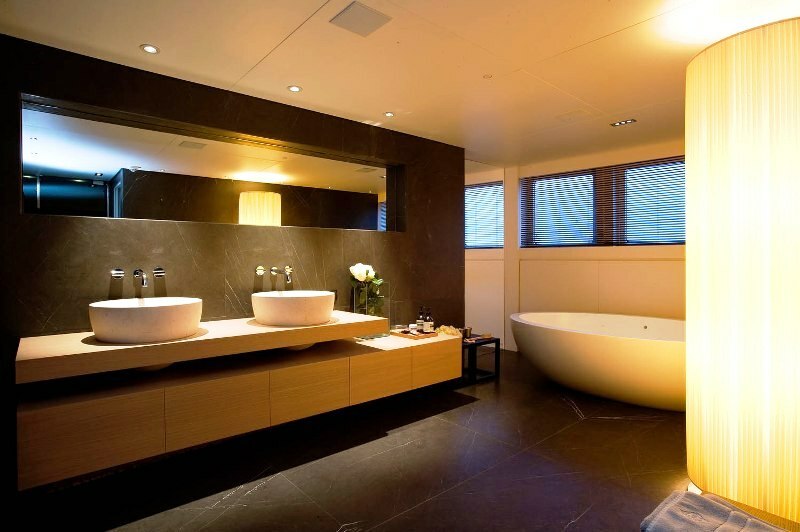 Images are courtesy of the yacht's builder Mondo Marine. 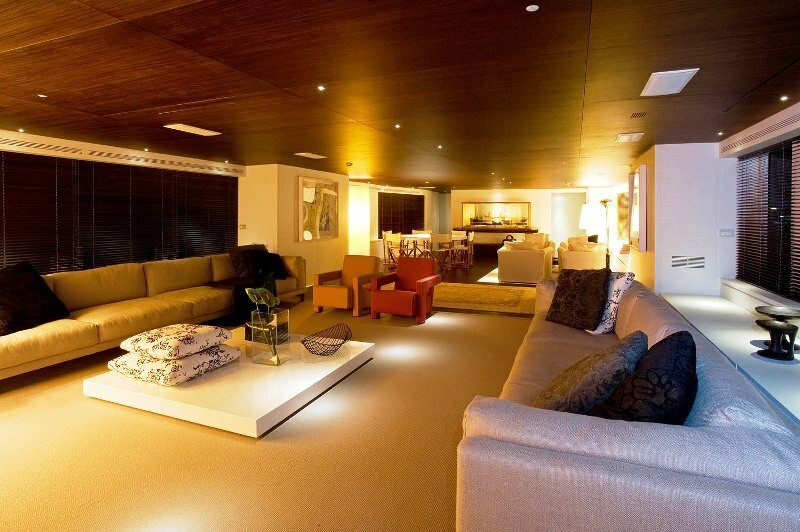 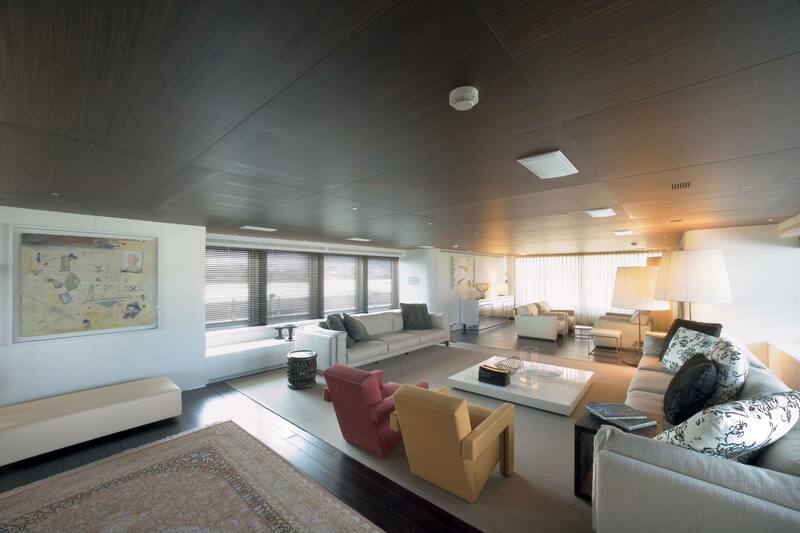 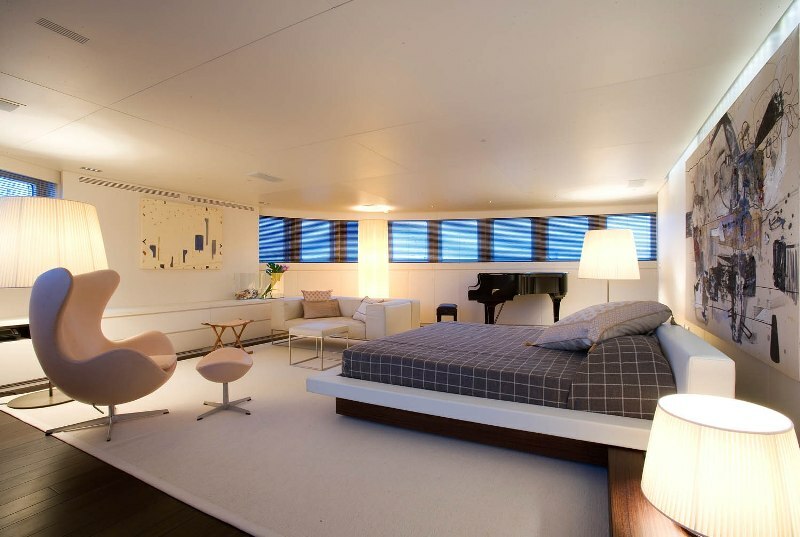 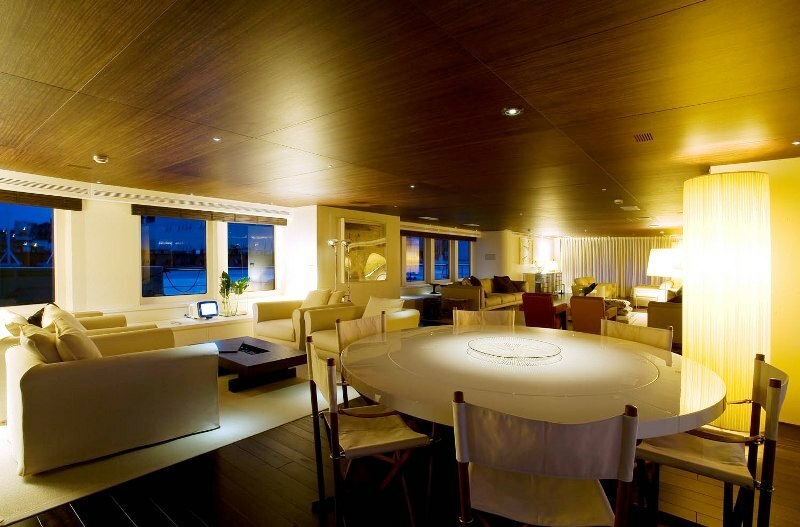 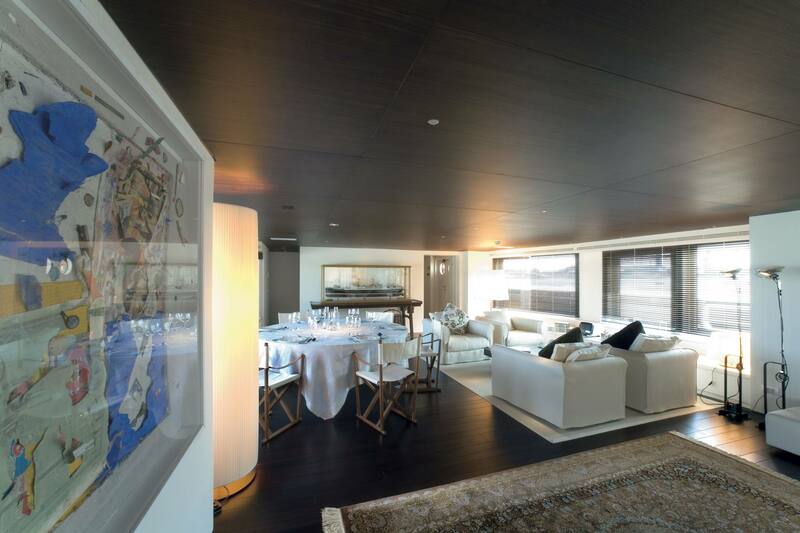 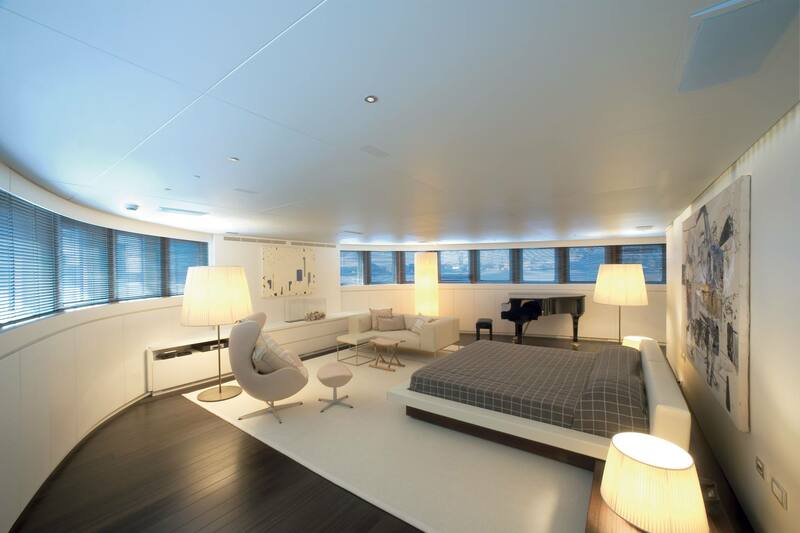 On the upper deck, Motor Yacht TRIBU asn an extensive master suite with circular panaramic views. 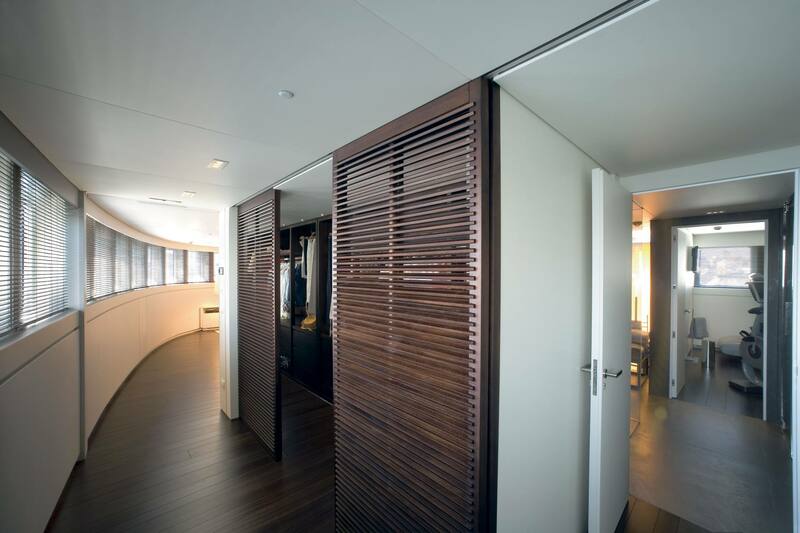 Adjoining the master is an office, vast walk-in wardrobes, and bathromm/gymnasium. 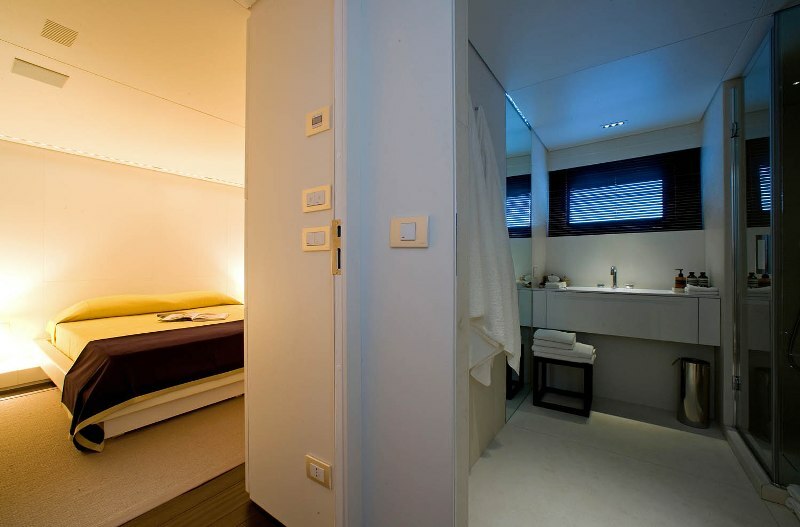 On the main deck there are 3 double cabins with king beds and ensuite bathrooms and a twin cabin with ensuite bathroom.